All (+22) languages within the print driver. 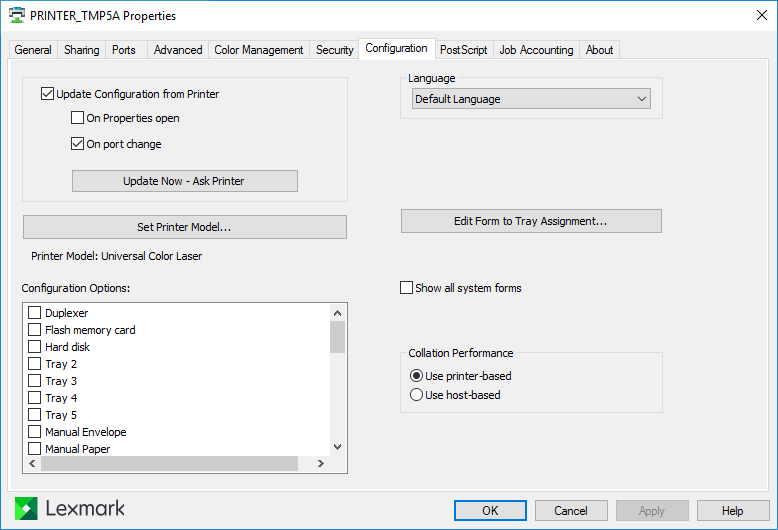 Select language on the Configuration tab in the Printer properties dialog. 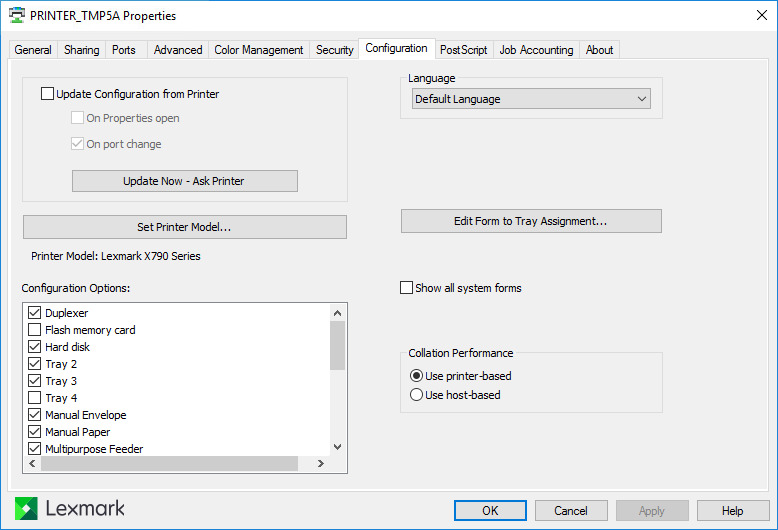 In the Printer properties dialog select the Configuration tab. Uncheck Update configuration from printer. Optionally open the Advanced tab and select the Printing Defaults… button to configure per-printer defaults.